Samsung Galaxy Tab 10.1" Rumored Price in Malaysia is RM2,100? UPDATE: The RM2,100 price is for the WiFi + 3G Samsung Galaxy Tab 10.1″. Yeah! That’s a tad bit expensive for Android tablets. Indonesia got its first taste of Samsung Galaxy Tab 10.1″, the long awaited Android tablet from Samsung that it’s said to be on par with iPad 2. Sold out in the first 7 hours after it’s on sale. :-). Although some skeptics were saying that this is because of the offer that Samsung gave, this is a strong indicator that Samsung tablet is indeed what consumers are looking for. Samsung sold Samsung Galaxy Tab 10.1″ in Indonesia for RP 6 million (roughly RM2,100++). They slashed the price to RP 4 million (roughly RM1,400) for the first day launch. A very good deal. RM700++ dicount. And for the 1st 200 customers, they get another RP 200,000 (roughly RM70++) discount. How cool is that? No wonder, roughly 4000 people queued for the Samsung Galaxy Tab 10.1″ and some even do overnight queue. So, the question is, “What is the price of Samsung Galaxy Tab 10.1″ in Malaysia and Singapore?” Will it be somewhere RM2,100 or ? What is the bundled price for Samsung Galaxy Tab 10.1″ from Maxis? Rumor has it that Samsung Galaxy Tab 10.1″ will be coming to Malaysia end of July. Can’t wait to test it out. Will you buy Samsung Galaxy Tab 10.1″ or Asus Eee Pad Transformer or Motorola Xoom? 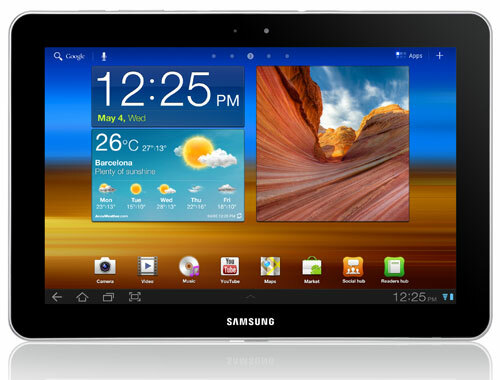 Before you decide, watch a 12-minutes video of Samsung Galaxy Tab 10.1″ by Samsung. Samsung Galaxy S II Malaysia for RM2099!!! Samsung Galaxy S II Launching in Malaysia Next Week! Maxis to offer Samsung Galaxy S II at RM799!!! When will Samsung Galaxy S II come to Malaysia? Samsung Galaxy Tab 10.1-inch Official Price and Celcom Samsung Galaxy Tab 10.1-inch Package Plan Revealed!!! Samsung Galaxy Tab 10.1-inch Launching in Malaysia on 20 August 2011!!! initially i wait for tab 10.1, but just can’t wait it anymore… and I got my ipad2 last week.. Anyway, still hope tab 10.1 can be low price in RM1500 + / – range.. I just not feel nice with apple itunes software. 3G maybe at RM2100. But Wifi only version may starts as low or lower than RM1500. Can’t wait for the launch on Aug. Hope they don’t postpond again. Next story Why is my Yes Huddle blinking red very fast and not working? Previous story ‘iPad HD’ to launch together with iPhone 4S/iPhone 5?